At the door sales start on March 2 at 5pm. 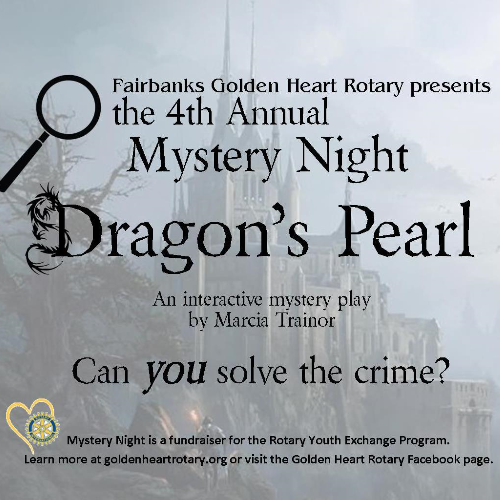 Join Golden Heart Rotary for the 4th Annual Mystery Night - Dragon's Pearl - an interactive mystery play by Macia Trainor. .
Appetizers, wine and desserts served at 6:00p, play begins at 7:00p. Can you solve the crime? © 2019 AKTickets. All rights reserved.